Thinking of doing anything other than attending Ohio Wesleyan University’s Bishop Bash on March 30? Cut it out! 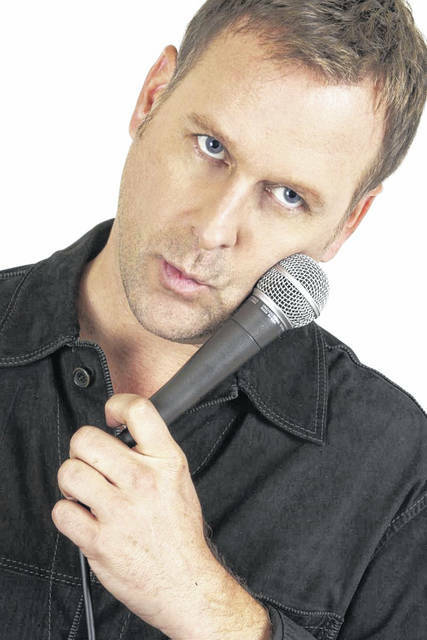 Comedian Dave Coulier, best known as “Uncle Joey” from the ABC television series “Full House,” will perform at OWU’s Bishop Bash 2019. The performance will take place at 7 p.m. March 30 in Gray Chapel inside University Hall, 61 S. Sandusky St., Delaware. Starring on “Full House” for eight seasons in the 1990s, Coulier is widely known for his “Cut it out!” catchphrase. He now co-stars and directs episodes of the spin-off series, “Fuller House.” Since debuting on Netflix in 2016, “Fuller House” has won the People’s Choice, Kid’s Choice, and Teen Choice awards for Favorite Family sitcom. Featured on The Tonight Show, HBO’s Detroit Comedy Jam, and HBO’s Comic Relief at Radio City Music Hall, Coulier routinely performs before sold-out crowds across the United States. Coulier has hosted ABC’s “America’s Funniest People,” the Animal Planet Network’s “Animal Kidding,” and his own series, “Out of Control,” on Nickelodeon. Additionally, he has starred in Nickelodeon and Disney channel movies. Coulier is recognized for his voice-over talent in cartoons series such as “Scooby-Doo” and “The Jetsons,” and in connection with “Uncle Joey.” From the cartoons, he went on to voice characters for the multiple Emmy Award-winning animated series “The Muppet Babies.” Learn more about Coulier at https://davecoulier.com. General admission tickets are $5 and are available online via Eventbrite or the show’s sponsor, Ohio Wesleyan’s Campus Programming Board, at www.owu.edu/cpb. Tickets are free for Ohio Wesleyan students and employees with a valid university ID.